Clinical case reports are key source of evidence in medicine and our aim is to directly improve global health and convey an important teaching point about a common or important clinical scenario and generate a more expanded search for evidence. 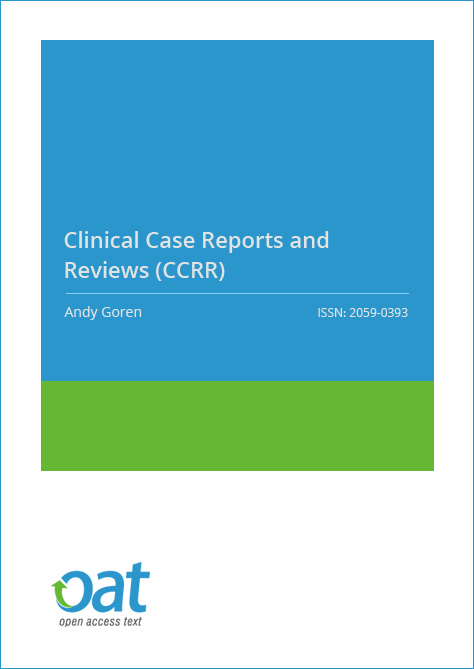 Clinical Case Reports and Reviews (CCRR) is a bimonthly open access journal with a comprehensive peer review policy, and a very rapid publication process. We aim to publish high quality original case reports across all medical disciplines contributing greatly to the advancement of health care. Case reports do not have to be novel or unusual, but need to reflect best practice. Case reports may span the full spectrum of medicine across the health sciences in the broadest sense, including all clinical medical specialties, veterinary medicine, nursing, allied health and dentistry which illustrates an important, practical and gereralisable teaching message. Manuscripts must be authentic, understandable, educational, and of interest to an international audience, residents, fellows, and researchers, as well as clinicians in related fields. All submissions are peer reviewed. If accepted for publication, authors are requested to pay an article processing fee per article. Following payment of this fee, the article will be made universally available. Prof. Dr. Andy Goren has over 20 years of experience in the development and commercialization of breakthrough technologies in the medical, biotechnology and semiconductor fields. Among the list of many firsts in dermatology, Prof Goren was the first to develop a commercial genetic test for predicting androgenetic alopecia, the first to discover epigenetic markers predicting anti-androgen therapy response in female androgenetic alopecia, the first to commercialize an acne vulgaris antibiotic response test based on P. Acnes bacterial genomics, and the first to commercialize a rapid test for predicting minoxidil response in androgenetic alopecia. Prof. Goren recently completed the development, commercialization, and listing with the U.S. FDA of a breakthrough topical drug for vitiligo, psoriasis and atopic dermatitis. The drug, Photocil, selectively filters NB-UVB from natural sunlight thus increasing patient compliance and convenience over artificial phototherapy. 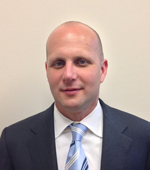 His latest research involves the development of dermatology therapies based on genetically modified organisms. Prof. Goren currently serves as a contract Professor of Dermatology at Universita' degliStudi di Roma "G.Marconi". He is an honorary as well as ordinary member of several dermatology societies world-wide, a scientific reviewer for Dermatologic Therapy, a lecturer in several international dermatology societies, and held numerous appearances and interviews on mainstream TV, radio, and prestigious newspapers. His accomplishments include several patents and publications related to his inventions and discoveries. Prior to his work in Dermatology, Professor Goren developed a medical device to correct gait disorders in peripheral neuropathy patients using sensory substitution, as well as invent the first wire-free electric charger for mobile devices. Director of the Scientific Center for Research on Musculoskeletal Tumors "Mario Mercuri"
Clinical Case Reports and Reviews is an Open Access journal and we do not charge the end user when accessing a manuscript or any article. This allows the scientific community to view, download, distribution of an article in any medium, provided that the original work is properly cited, under the term of "Creative Commons Attribution License". In line with other open access journals we provide a flat fee submission structure on the acceptance of a peer-reviewed article which covers in part the entirety of the publication pathway (the article processing charge). The process includes our maintenance, submission and peer review systems and international editing, publication and submission to global indexing and tracking organisations and archiving to allow instant access to the whole article and associated supplementary documents. We also have to ensure enough investment to secure a sustainable model which ethically, legally and financially stable. The publication charges for Clinical Case Reports and Reviews are GBP 590. Description of the Special Issue: Controversies in multiple sclerosis (MS), like any other disease, are nothing new. Even after decades of understanding the disease process, fundamental differences exist in such mundane issues as how to define a relapse. Is it enough that a new symptom developed and has persisted for a few days, for example? Is there a consensus to define relapses as clinical and radiological events? If MRI is so sensitive, why not insist on every patient with a ‘relapse’ be screened radiologically and not rely on clinical evidence or lack thereof? Is it a cost issue? This is one such niggling issue that needs clarity. Some of the topics included in this special edition are how to define secondary progressive MS (SPMS) and how radiological features might or might not contribute to the diagnostic approach, if radiologically isolated syndrome (RIS) is different in patients with symptoms vs asymptomatic individuals, why clinically isolated syndrome patients are not routinely subjected to analysis of their cerebrospinal fluid if their MRI data are not supportive, why African Americans need to be screened for Vitamin D deficiency in MS patients and treated if levels are found to be low, particularly if there is minimal evidence that it confers any benefit, and lastly if there are trends or patterns in patients with progressive multifocal leukoencephalopathy (PML) who are enrolled in the TOUCH program with respect to their JCV Ab status. Description of the Special Issue: Diagnostic imaging in non-coronary myocardial diseases is a very intriguing topic both for research and clinical practice. Different forms of cardiomyopathies, acute and chronic myocarditis, secondary involvement of the heart in different systemic diseases are very difficult to diagnose. Cardiac imaging - first of all, CT, MRI and hybrid modalities - offers unique opportunities for detection and characterization of this pathology. Late-enhancement MRI, T1-mapping, low-dose CT-angiography and dual-energy CT provide new insights into myocardial structure and function. Nevertheless, questions about proper choice of imaging modality remain. Is T1-mapping or late-enhancement CT enough sensitive to detect focal or diffuse myocardial inflammation of fibrosis? How cardiac imaging can help to differentiate between primary and secondary cardiomyopathies? Articles published in this issue will give some insight into these and some other challenges in cardiovascular radiology and imaging. This issue also will present some rare cases of various myocardial diseases. Description of the Special Issue: Mental disorders can cause a various kinds of challenges and struggles in lives of many people, which may jeopardize not only their sense of well-being but also their relationships with family, friends, and colleagues. Mental health is defined not just the absence of mental illness or psychological distress, but a state of well-being embracing a person’s own potential toward productivity in and contribution to the community. This special issue invites all concerned researchers and practitioners from the different fields to address clinical cases of various topics related to mental health and psychological well-being. This special issue will contribute to the literature on mental health by including collecting important clinical cases of various mental disorders and their impact on emotional, social, and physical well-being as well as evidences for the efficacy of different treatments and the relative efficacy of medication and traditional talk therapy, or their combination. We hope to draw a meaningful attention to mental health and psychological well-being and to provide a context for practitioners to conceptualize clinical cases through this special issue of Clinical Case Reports and Reviews. Description of the Special Issue: Neurorehabilitation is the part of Neurology which hasn’t been addressed properly in the developing world, due to either lack of expertise, lack of knowledge or lack of funds and infrastructure. This Special issue is a broad-based journal found on the following points- To publish the challenges faced by medical professionals in developing medical rehabilitation services in different parts of the world, to understand the challenges faced by different members in a multi-disciplinary Neurorehabilitation team.